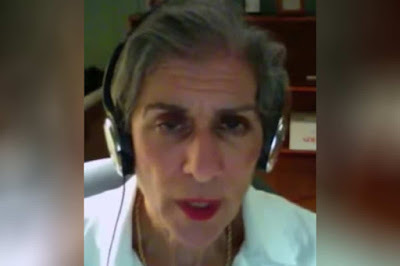 It is darkly ironic that University of Pennsylvania law professor Amy Wax, whose heritage is such that were she unfortunate enough to have been in Eastern Europe during WW2, would have found herself deemed as Untermensch, or subhuman, and thus promptly slotted for efficient extermination, has spent a great deal of her professional life arguing that Black and Brown people (though most of her disdain seems reserved for Blacks) are inferior to whites mentally, culturally, and morally. I don't expect that slavery or racial extermination will be on the American agenda anytime soon but if those things did make their return and you happen to be Black or Brown, don't try to hide at Professor Wax's house. Because she would certainly turn you in. We do have free speech in this country. You can be as racist and as hateful as you want to be. And Wax has been. The limit apparently is when you step beyond your opinions and make a statement of fact that isn't true. Wax may have done that with her latest comments, which is what allowed her employer to rein her in a bit. University of Pennsylvania professor has been stripped of all of the first year law classes she has been teaching after it was revealed that she feels black students are inferior to other students, the HuffPost is reporting. According to the report, professor Amy Wax, who teaches at the prestigious university, was engaging in an interview with Brown University professor Glenn Loury, when she made her controversial comments. Although Ruger has defended Wax before, he wrote a letter to the Penn Law community to state Wax’s claims are false. "Black students have graduated in the top of the class at Penn Law, and the Law Review does not have a diversity mandate. Rather, its editors are selected based on a competitive process," he said. "And contrary to any suggestion otherwise, black students at Penn Law are extremely successful, both inside and outside the classroom, in the job market and in their careers." One of Professor Wax's black students explains how it is to go to class when the teacher thinks you're inferior. Imagine watching your professor disparage black students on youtube on Tuesday and sitting in her class on Wednesday. I sometimes put reading for other classes on the back burner because I refused to give her the satisfaction of me not knowing the answer when she called on me. Many of Professor Wax's white co-workers either defend her right to be offensive or get upset with people criticizing her. That might be worth remembering when conservatives and free speech liberals get on their high horse about this or that black person not rushing to condemn Farrakhan or Sharpton or whoever the black bogeyman of the day may be. Wax is not just someone ranting on the street about n******s. She isn't just a disinterested party. She has at least some control over who gets what grades in her courses. She has the ability to recommend people for certain jobs..or not. If I told you that I thought your particular ethnic group or gender wasn't as good as mine, nothing personal, would you really trust me to be a fair judge of your talent? I'm betting not. Wax may be a bit more vocal than some in her beliefs but in my experience she's more the norm than the outlier. No doubt Wax and her supporters would be outraged if someone summed up the past few hundred years of Western "civilization" as proof that those of European descent are morally inferior by nature. When Blacks make such generalizations no one seems to want to ask if it's true or not. No one wants to defend their right to free speech. Interesting. Wax and those who think as she does are a big part of the reason that many black people know they have to be twice as good to get half as far. This isn't going to change anytime soon. Assumptions of black inferiority are baked in the cake.